Where does the time go? I’ll tell you where it goes. Right down the chronological freeway without stopping. I really REALLY love this time of year and when 10/1/13 rolled around I told my bride, “I need this to slow down. I just want to enjoy fall before it gets away.” Well I did, but like weekends, it seemed to fly. Oh well. In addition to the pumpkin patch experience, the family went to our first (and only) high school football game of the season. K and I both dig the Friday night lights experience, but have missed the last couple of seasons due to various reasons. This year we didn’t want to miss it, mostly because CJ was gonna be around to check out all the sites and sounds, but also to rekindle that tradition with each other. We also made an opportunity to hang out with our fun neighbor Doug who I believe is the best at tweets and Instagraming, but that’s just me. 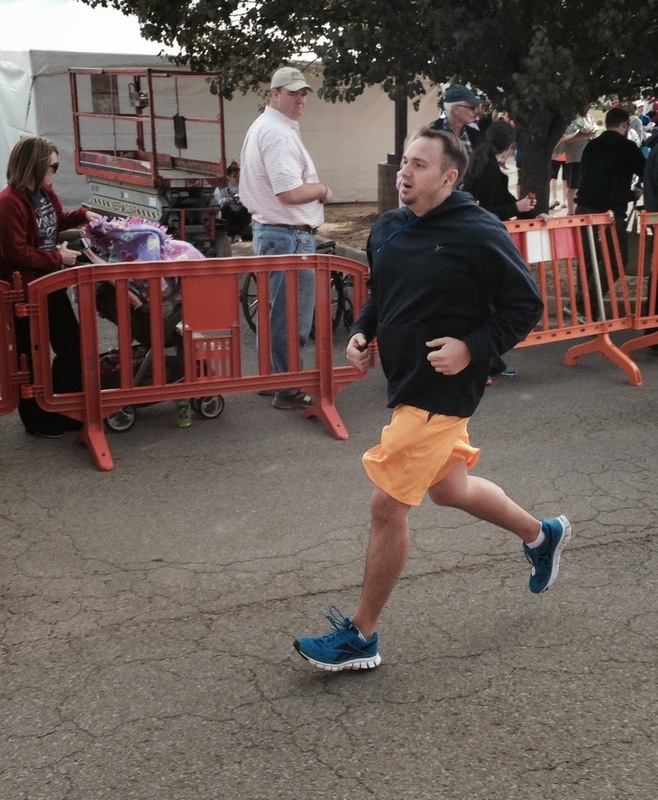 Yours truly also spent the last weekend of the month on the streets of Conway competing in his third annual half marathon. Let me say this. I’m NOT a runner. There isn’t something in me that needs to convince anyone that running is for all of us. However, I do enjoy it. When I train for stuff like this, I tend to run early in the mornings when it’s dark and quiet, and there is something therapeutic about the isolation that exists with nothing but me, my iPod and my thoughts. 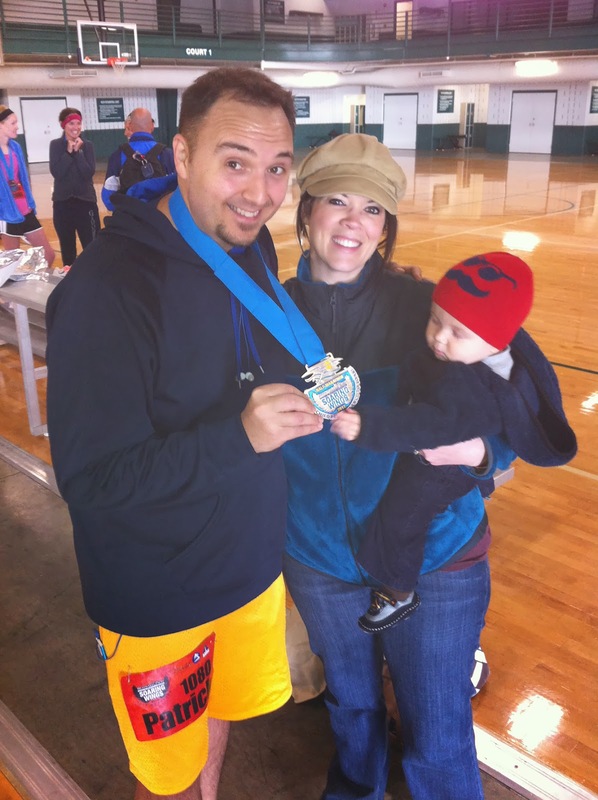 Running in the half marathon is gratifying in a sense that it becomes payoff for all of my training, but also that it’s just as therapeutic, minus the darkness and quiet :). Still have my iPod though. Some quick facts about this years race: 1) I beat my time by 7 minutes (a big deal for this guy) 2) After I crossed the finish line, my calves decided to go into hibernation and I was forced to crash on the pavement and need the assistance of some of the local workers there. 3) The medals have gotten progressively bigger every year. I have a feeling that my 5 year run will end with a big piece of sheet metal in lieu of an actual one. I also got the chance to be a part of the annual fundraiser that the Crisis Pregnancy Center of Central Arkansas held downtown in Little Rock. This years speaker was Voddie Baucham, a pastor out of Houston who has made himself familiar to me through various venues I’ve attended over the last 15 years, from revivals to conferences to camps. He opened up his message by saying “I always find it funny when I come to an event and folks don’t have their bibles. I’m not a speaker. Radio Shack has those, I came to preach.” As he has done in the past, Voddie presented a powerful message on promoting the value of life from a biblical context. One of the things that stood out for me personally was his importance that we don’t just get excited about an idea or a slogan, but that we take an active roll to live out what it means to honestly value life, particularly that of the unborn. We had some great feedback and were very grateful with the turnout and the financial support we received. 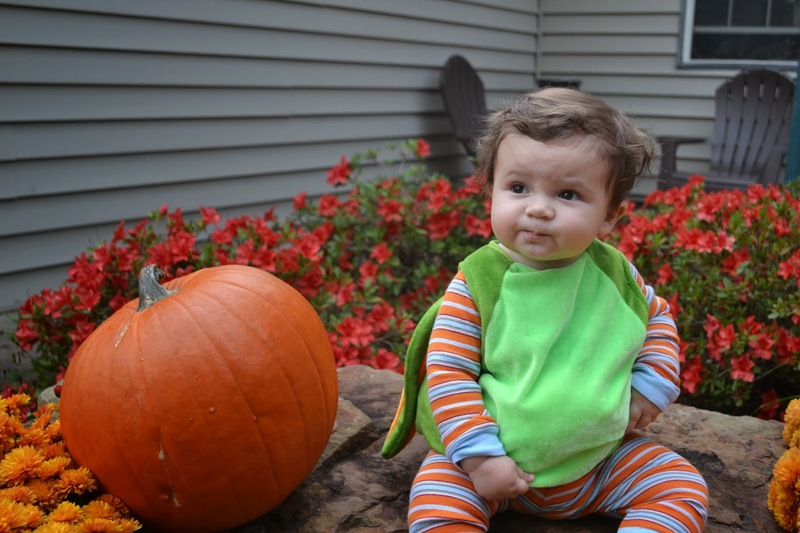 October closed out with CJ’s first Halloween. K and I as a couple never really dressed up for all Hallow’s eve. Last year I dressed up as Clark Kent / Superman. But we didn’t know if we wanted to do anything special with him. Well, when one works at a pregnancy center, one is bound to discover that people bring the cutest outfits to donate. It was because of this that our little man was involuntarily given the chance to be a dragon. It was the cutest thing ever. We got a few shots of him in front of the house, and when K took him to work, her boss gave him his own bucket of treats. We also took him over to see my parents where they did the same. The jury is still out on whether or not he enjoyed it, but Mom and Dad have no doubts that they did. Reading Ender’s Game a second time through in anticipation of the upcoming movie was a similar experience to watching The Sixth Sense after seeing it the first time. You know what’s coming and because of that, you tend to pay attention to more of the subtle dialogue and interaction of each character to see if it points to the overall payoff. In some ways, this made the book a better read. For the purposes of review and because of my previous reading experience, I tried to pay more attention to some of the details I would normally gloss over for the sake of getting to the end (the compulsive need to finish a book wanes heavily with this guy). I digested the conversations between Valentine/Peter, Ender/Bean, and Graff/Anderson a lot more slowly than I did the first time around. This gave the book a lot more weight and meaning for me as a reader. Though I struggled with the whole premise that kids had the ability to influence adults in incredible ways (aka Peter and Valentine taking on the roles of Locke and Demosthenes), that whole idea worked and paid itself off in the form of a beautifully written conversation between Valentine and Ender. In it she says “While you’re governing the colony and I’m writing political philosophy, They’ll never guess that in the darkness of night we sneak into each other’s room and play checkers and have pillow fights.” Card is able to encapsulate the idea that, yes, kids are being asked to do insane things, and in fact they are doing them successfully (with sacrifice of course), but he uses Valentine as a way to say “but we are still kids, and we can still hold on to that as long as we are kids.” In some ways, I think Valentine is the strongest of the three Wiggin children. Overall, I thoroughly enjoyed Card’s debut novel into this “enderverse” as I’ve heard it called. While the book didn’t leave itself to motivate me to read any future stories (which are vast according to Wikipedia), it is one that I would recommend happily to anyone who loves a good character exploration wrapped in good fun dystopian sci fi. 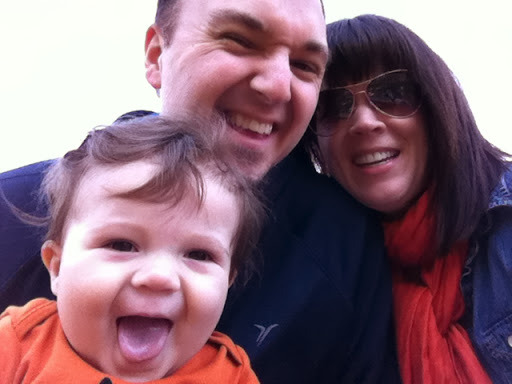 K and I took CJ on his first trip to a pumpkin patch (which, coincidentally was OUR first trip to a pumpkin patch together). 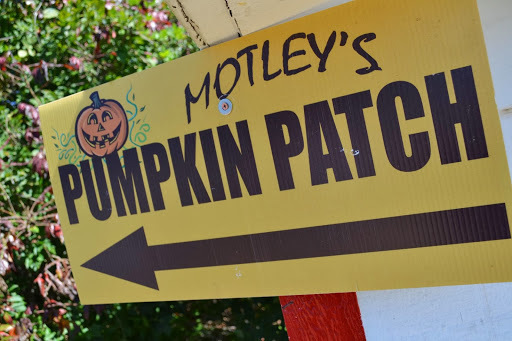 Of the handful that we had to choose from, we chose Motley’s due to the fact that it was fairly close to the house and it had everything a couple with a 9 month old could want. Pig Races :). There were also pictures to be taken, animals to attempt to pet, hay to sit on and fuss about. It also gave me a chance to (finally) try out my new DSLR I purchased back in the spring. I have a lot of education to obtain on how to use the thing properly, but it was a great first time out (and I think I got some keepers). You can find my final work here. We didn’t get any actual pumpkins there this year. We want Carson to be a bit older and to be able to pick out his own so that’s on next years agenda. It was a good time for sure. 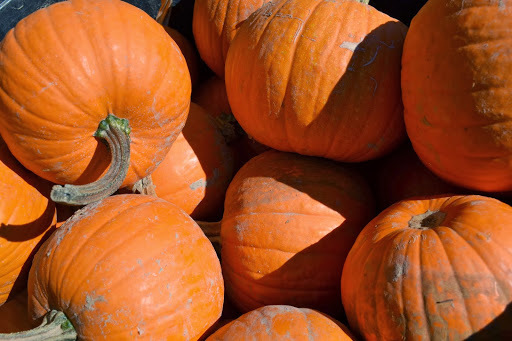 I’ve only been to a handful of pumpkin patchs in my lifetime (and none when I was a kid if you can believe that). Being there with my family, as a dad, was a really great experience. And as you can tell, we seemed to have a pretty good time. Last weekend I visted old friends at my former university for sort of a fraternal get together. Brothers and sisters bonded under the three Greek letters CHI IOTA SIGMA came together to celebrate over 10 years of being part of what this university affectionately calls “social clubs.” I was telling someone while I was there that reunions like this are different than those of a class reunion in high school (or even college). What I found different (and even more enjoyable) is the fact that, unlike a class reunion which is usually only representative of one specific year in a persons life, this gathering brought with it faces before, during and after my time. I had seen how some things changed (faces, names, and even a few traditions), others didn’t (inside jokes and borderline inappropriate behavior still got a good laugh). I look at this diverse social palette and see much of my life that is represented in several others, as well as seeing the future of this club staring at me, telling me with a smiling face how great it’s been to be a part of. I saw the familiar faces of my pledge class there with their spouses and children, hearing how some had become exactly what they set out to do, and others opted for other occupational/life changes (one specifically prompted by a rigorous car cleaning several years after she graduated that led her to an unlikely job with the government). This reunion brought with it obvious flashbacks to my days in college and walking up the steps to my old student center, I couldn’t help but reflect for a moment the years I spent here, thinking that what I was learning was all there was to life, that college would make me exactly who I am today. I guess that’s true, in part, and though so much more of my story is continued in later post-college chapters, the four year story, accented with my involvement with XIS, brings just as much with it. As part of this get together, an hour away from my home, I opted to stay local instead of driving back and forth. I guess, in truth, I just really like mid-grade hotels, and this was a great excuse to stay in one. I remember going on vacations, my brother and I would sit in the still-running car with my mom while my dad went and ‘took care of everything’ inside the lobby. It was so fascinating to me. I always wondered why it took so long (at least it felt like that to me) to get us ready move into our home away from home. As an adult, I kind of feel privileged to be able to walk into a curbside overnight spot and say “Yes I have a reservation” and do all of the things that make it official from giving my drivers license to filling out the little card, to getting my electronic key (although I miss the old school keys that would seem to get lost so much more often than these). The anticipation I got when we’d park the car and then walk up to our room with our boatload of luggage came back, and even after all of these years the hotel rooms still smell the same when you initially walk in, cold from the still running air conditioning, the halfway hard but smooth bed and sheets that you crash on immediately after putting your stuff down because its been such a long drive, and the Gideon bible being discretely placed in the drawer of the bedside table. Of course, hotels these days, even cheaper venues like the one I stayed in, have significantly upgraded. I took advantage of the high speed Internet, the microwave and refrigerator. I was even called by the front desk to make sure everything was in order. But of course I found comfort in using those things that were a part of my experiences growing up, including using the still-square plastic bucket at the never-ending ice machine (which still looks the same after so many years). I felt a bit like I was stepping out of Narnia in coming back from that experience. It felt as though time had frozen for just over 24 hours and I got to relive experientially as well as mentally those days of both my youth and young adulthood, and while I enjoyed every moment of that time with friends old and new, I felt the reality of where my life is now settle itself back in as I drove steadily back home to life as I now know it. I wish that I could so poignantly wrap the thoughts and ideas that have been travelling through my brain and put them perfectly down on this digital piece of parchment. Alas, these are the ramblings of a ragamuffin. Last month I celebrated my 30th birthday. Like most people, it brought with it reminiscing the past, reevaluating the present and embracing the future. It’s one of those ages that brings questions like, “What have I accomplished?” and “Where do I go from here?” This particular birthday could have been treated with flamboyance, complete with a themed event similar to a “This is your life” talk show, a re-creation of my favorite television series, or even a documentary film crossed between The Crocodile Hunter and The Blair Witch Project, all of which I so gratefully participated in to celebrate other friends’ chronological milestones. My wife asked what I wanted for this special occasion, and the more I thought, I realized that what I wanted was this: simplicity. So on January 23rd, I sat at the head of a long set of tables in a local restaurant, surrounded by people in my life with whom the word “significance” was attached, some whose friendships entered my world as recently as a few months, others who I have known for as long as five or six years. And as I looked over that long stretch of faces, some strangers to one another, I was completely overwhelmed with one truth: this is what love looks like. I saw my past, present and future smiling back at me, people with whom I have shared life with, who embraced some of my deepest struggles, successes and failures, and who see me as someone they consider a friend. These individuals painted a picture for me, showing just how important I was to them and their presence that night, along with several letters of encouragement that I will always keep close by caused my heart to be full. To be honored like that, loved in a way that absolutely spoke my love languages was a moment that will never leave me. So what we have here is the ability to, not only love people like Christ loved us, but to represent who we are in Christ to bring glory to God. How does this play in today’s ‘practical’ world? We have confidence in who we are. We can love without limitation. It allows our relationships to be more vulnerable and safe and genuine. What I have come to understand about myself is that everything that makes up who you I am is ultimately defined in terms of God’s perspective and no one else. Hear that again. God’s perspective defines me. There are days when I really do get that, days when I am spiritually “healthy.” I am confident, passionate, and understand how to love and be loved. Then there are days when I am completely vulnerable to even the slightest criticism. I could care less about the people around me, about anything really except myself, and I sort of ‘check out.’ It’s not healthy and it’s another part of this ‘growing up’ that I’m embracing, but I know the truth, and the matter of really believing what Paul says in his letters is the key to getting through those “unhealthy” periods. Understanding authentic love, represented around a table the night of my birthday or giving me a huge hug when I get home from work, reminds me that, not only can I receive it fully, but give it away with just as much passion abandon. After all, it’s how God CHOSE to love Christ and how he CHOSE to love his disciples. Surely being in Christ, I can love others that way. Maybe I just choose not to. As it’s been pretty much a year since my last blog entry, and at the request of both close friends and a deep need to begin writing again, here I sit, filled with thoughts of how to begin 2009 on a literary note. • The election of our first African American President, Barack Obama, who many believe will be the saving grace this country needs in terms of change. •The gradual to drastic downturn of our nation’s economy, which has turned Congress into “Daddy Warbucks” of sorts to major banks and auto dealerships around the country. • And of course the SEC winning yet another national football championship. I will say that this year’s game was indeed one of the more entertaining to watch. Though my Fighting Tigers from LSU were not participants (they were busy beating the tar out of Georgia Tech), props to everyone involved. Among the more personal moments, the biggest would have to be my marriage to my beautiful bride. We exchanged vows on August 2nd, 2008 and almost six months later things are still wonderful. The wedding and the reception were a lot of fun, albeit on the hottest day of the year, but everything really went smoothly and I think everyone had a great time. We spent our honeymoon in the bustling city of Chicago, being very touristy and whatnot. It was really a blast pending time with the woman I love more than anything in the city that I fell in love with six years ago. There are days when I really can’t believe I’m actually married, but I can honestly say that the transition to married life has been one of the easiest for me. It just makes sense. Another moment came in the form of a text message I got back in July from a guy I hadn’t seen or talked to in 10 years, telling me he and his family were moving up north from the West Coast as part of a job transition. Over the next several weeks and months, he and I began to walk through his reconciliation with Christ in the midst of some really difficult marital problems going on in his life. Through those conversations and filling in the gaps of the last decade, our friendship has grown a lot closer and I have seen the manifestation of grace and hope in him. In spite of divorce being in the near future, (and its getting tougher the closer she gets to leaving with the kids) he has, as much as he knows how, allowed Christ to be the anchor by which he holds onto, as well as let me to be a part of the journey he’s on. I’m really encouraged by that. So what does 2009 hold? Africa is on the horizon this summer, an experience I will get to enjoy for the first time with my beloved by my side. I am also in the final stretch of a 2 year project which ends in October, so occupationally there are some question marks. But in the midst of all of this, with the economy, job losses, marital struggles and uncertainty across the board, I have seen God be everything to His people. I have seen my relationship with him transition into one where I can confidently call myself one of His sons, and approach His throne, not with my head hanging and overwhelmed by guilt, but to just sit and play at His feet, to smile knowing that, as Psalm 73:28 says, His nearness is my good. There’s more in my mind and on my heart that I want to put out there, just need to get it all organized. But for now, I’m out. Sometimes I think God decides to theme out certain times in our lives, not so we can be poetic and say how romantic of a God we serve (although this is true), but rather because we can be so knuckleheaded about learning something that we need it repeated in different ways over and over again. I confess that this past month has brought with it an emptiness in my spirit. The holidays were good, experiencing extended family on extended road trips and quality time with the love of my life. I am looking forward to pursuing new relationships that have come from the various social gatherings I’ve hosted and participated in. But while those things were good, I neglected my first love, and I’m realizing that it has put me in yet another place of desperation for His presence. I haven’t pursued Him as I would like to and it’s left the desire to give life to others at a handicap because I haven’t had that much life to give. I began my journaling once again after a month separated from my last entry. I treat it as sort of a conversation piece with God (I almost wrote the word ‘peace’ in place of ‘piece’ and I’m realizing in this moment how either word could be valid). As I began writing, talking to Him through pen and paper, I began almost immediately to feel His presence over me, experiencing the ‘peace’ as I wrote of being close to Him once again. I don’t know if that’s something that can be understood by anyone who isn’t ‘in Christ’ as Paul says. Tuesday night the Spirit continued to speak truth to me through His Word as well as through His Body. We read from both Acts 19:8-10 and Romans 14:13-17 and hashed through the idea of what the Kingdom of God was to us as well as through the idea that we must realize that we weren’t meant to change people or the culture around us. These ideas resonated with me because that day I got into a conversation with some co-workers about the role of our government on the people it governs. Through the talk of welfare, taxable income, personal responsibility, etc. the idea of God in all of that didn’t come up and I wondered how we could talk about the good an organization can do for people and not mention God, the creator of goodness. But His goodness is not all there is to Him. He is also sovereign. That night it clicked. If I think of the Kingdom of God as being His authority, then what I see is that while the purpose of a government is to do what’s best for the people it governs and therefore serve their needs (albeit not everyone will be satisfied), the purpose of the authority, the Kingdom of God, is to bring glory to Himself, and through some supernatural act, simultaneously allow us to be satisfied in that as a Body by serving Him and serving others. It’s as if, as followers of Christ, we are under an authority that supersedes that which we vote on every four years. Those’s not to say that we shouldn’t obey laws put in front of us or discount the things that Congress has put in place for us to follow. But there is some freedom in knowing that man doesn’t necessarily have it right, and while a Democracy is doing what’s good for the majority of the people, the Lord is doing what is best for Himself as well as those who choose to follow Him. It’s His sovereignty that allows Him to put Himself first. It’s His love that invokes the second. That’s it? Love is what levels the playing field? Love is what supersedes fairness and unfairness? Wow. That may not be a new concept to the majority of people out there, but it hit me like a ton of bricks. How does that look practically? How do I live that out? That question got answered almost 24 hours after I asked it. I’m realizing now, in this season of my life that God is asking a ton from me. More than anything He is demanding holiness from my life, not so I can be called a ‘good’ person, but that His life will resonate within mine, so that who I am at work, at home, with my future bride and with those that place their trust in me, will be filled with character defined by love. I guess you could say that I am imprisoned in His freedom. I can’t fix people, nor do I want to, but I also need to understand that the ‘investment’ that I give to people shouldn’t be fueled by the return on that investment. Can I have those meaningful relationships with people and just enjoy the love that unifies rather than making sure they are doing the right things spiritually? With love I think I can. And its only through the humbling of my life, doing things and saying things for the sake of His Glory and the benefit of those He loves that will exalt me, but that exaltation will mean nothing to me because his satisfaction will be all I need. This quote was given to me last night over coffee with a friend of mine who shared with me that it had come across his e-desk a couple of times this week and he thought it relevant to where we both were. I guess you could call it a summary statement for the ‘theme’ going on in my world as of late.